Racing Victoria recognises that there is always room for improvement and that the community’s expectations for the standards of racehorse welfare are very high. The Victorian racing industry has a special responsibility to not only achieve but to lead world best practice in this field. Therefore fostering a culture of excellence and continuous improvement in this field throughout the industry is critical to the success of our sport. The following points remain a key focus of the Equine Welfare and Veterinary Services Department at Racing Victoria. Two-year-old thoroughbreds may race safely and without adverse long-term consequences. In fact, scientific evidence shows that when the training and racing of young horses is managed carefully, early training and racing is actually beneficial for a horse’s future racing resilience. Victorian racing is structured to be sympathetic to young horses, with no two-year-old races programmed before 1 October each season and no more than 20 two-year-old races conducted in the first three months of the season (1 October – 31 December). This allows adequate time for rest, recovery and musculoskeletal adaption. Race distances are also capped, with no two-year-old event in Victoria programmed over further than 1600m. Racing Victoria maintains comprehensive racing injury statistics that are used to design and implement injury prevention and mitigation measures and also to identify areas for further scientific research. Horses that are trained to jump have prolonged racing careers and are very well cared for by their trainers. They are also much sought after for future careers in other equine sports. Racing Victoria seeks to make jumps racing as safe as possible. Jumps racing in Victoria has made a dramatic improvement in recent years thanks to a series of safety enhancements including new jumps, tougher qualifying conditions, better education programs and improved riding policies. Any other factors the Panel considers relevant in its discretion. Training programs are provided for jockeys and trainers of jumps horses, with riders encouraged to ease horses out of races that are fatiguing or appear to be struggling for whatever reason out of the race. Pre-race veterinary inspections of all horses are performed by experienced RV veterinarians prior to every jumps race to ensure that horses are in a suitable veterinary condition to take part in the race. Comprehensive statistical reports of falls from each race meeting are compiled and used to identify preventable risk factors, such as individual obstacles which may pose a problem. The design of all racecourse obstacles to be compliant with the specifications of the Obstacle Working Group, which includes jumping riders and trainers. All hurdles and fences are regularly maintained and installed by trained personnel. Racecourses and obstacles are inspected for safety prior to each race meeting. Qualifying conditions are enforced by stewards to ensure all horses competing in jumping races are fit and skilled enough to do so. Comprehensive post-mortem examinations are performed on all horses that suffer fatal injuries during jumps racing. Racing Victoria (RV) is committed to ensuring racehorses are afforded the appropriate care both during and after their racing life. Industry research indicates that most owners and trainers work hard to ensure suitable homes are found for horses at the end of their racing careers. RV believes there is a home for every healthy thoroughbred and we are working with both the racing and equestrian industries to create even more prospects to re-home retired racehorses in Victoria. RV’s Off the Track program promotes the thoroughbred, re-trainers and the many post-racing opportunities for retired racehorses. Retired racehorses are the ideal equestrian athletes for pleasure riding, pony club or professional equestrian disciplines and thoroughbreds are highly sought after because of their versatility, athleticism and striking presence. 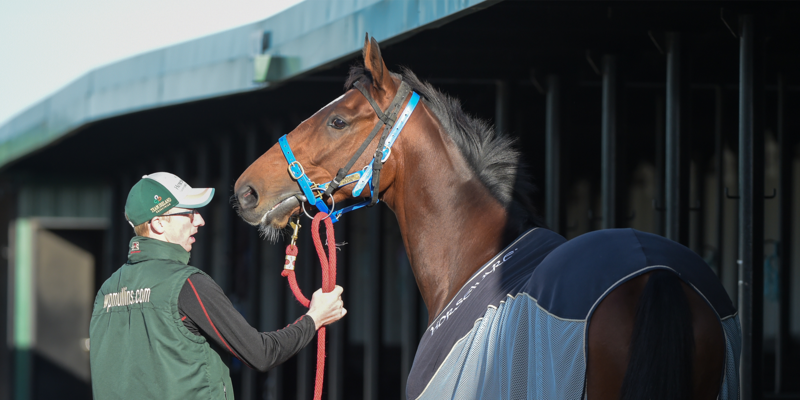 RV has welcomed the recent introduction of national regulations which mean it is now compulsory for managing owners to notify Racing Information Services Australia (RISA) of the retirement of their horse. This reform will capture important information about why racehorses are retired as well as details about their life after racing – equipping the industry with knowledge which will help direct future welfare activities. The majority of owners and trainers retire their horses responsibly and collating this data will also help to ensure the industry is represented truthfully. The safety and welfare of jockeys and horses is the paramount concern for Racing Victoria (RV) in assessing whether hot weather racing protocols are implemented and whether a race meeting should proceed or be abandoned in hot weather conditions. RV has introduced a science-based system of monitoring the health and safety of racehorses in hot conditions with guidelines on the trigger points for implementing hot weather management protocols, adjustments to the race program and transfer or abandonment of the meeting. measurement has been developed and is widely used in human sports, the military and in equine sports. The Wet Globe Bulb Temperature system measures ambient temperature, humidity and air movement (breeze) to calculate a safety index for physical exertion. RV routinely measures the Wet Globe Bulb Temperature on racecourses on hot days and applies the following scientifically validated scale for assessing the safety of racing in hot weather conditions. The use of the whip within Australian racing takes place within a regulatory framework contained within the Australian Rules of Racing which are set by the Australian Racing Board (ARB). The current regulations on the use of the whip were amended by the ARB effective December 1st 2015 and were updated after an extensive process of consultation. Find more information about the updated rule change on the use of whips here. Racing Victoria (RV) maintains an active interest in research in all areas of racehorse welfare, including the use of the whip, and continually reviews its position on the basis of scientific evidence and the experiences of other racing authorities worldwide. RV acknowledges that the whip is an essential tool of the jockey for appropriate communication and discipline to ensure the safety of the jockey and other race participants. There is a great deal of observational evidence that the use of the whip for a very short period during a race has no significant adverse effect on horse safety and welfare. This evidence includes the fact that, under the current Rules of Racing and with the current design of jockeys’ whips, there is very rarely, if ever, evidence of tissue reaction or ongoing discomfort to the use of whip after racing. RV also acknowledges community concerns about any type of perceived cruelty to horses and continues to conduct and encourage research in this area. While RV is open to reviewing controls on the use of the whip, we are confident that the current use of the whip is not cruel. Australian Rules of Racing (AR 137A) specifies acceptable use of the whip and provides for disciplinary action against rider who abuses horses. Racing Victoria believes there is a home for every healthy thoroughbred and we are working with both the racing and equestrian industries to create even more prospects to re-home retired racehorses in Victoria. Our Off The Track program is dedicated to retired racehorses and promotes the thoroughbred, our re-trainers and the many after racing opportunities for off the track thoroughbreds. If a horse is unsuitable for a useful future career, because of ill health, soundness problems or behavioural issues or cannot be provided with an acceptable level of care for whatever reason, it is in the best interests of all that these horses are humanely euthanized. An important decision-making factor is the quality of life that might be expected for an injured horse during its treatment and subsequent life. If misguided attempts to save an injured horse result in further pain and suffering with no realistic prospect of the horse having a good quality of life in the longer term, the welfare of the horse is compromised. Responsible horse ownership also makes provision for the planning of “End of Life” management. Decide when and where the procedure will be best carried out, bearing in mind that prior arrangement must be made for removal of the body. Choose what is most comfortable and practical for you, your veterinarian, and your horse. Shooting by a licensed person, using a registered firearm. As a caring owner, you want your horse to have a peaceful, painless end. Most commonly, euthanasia is achieved by injecting a barbiturate anaesthetic in a dose sufficient to shut down the horse's central nervous system. The drug renders the horse unconscious, the horse's heart stops, and the horse stops breathing. These drugs act quickly and effectively. If you plan to be present when the lethal injection is given, keep in mind that not all horses respond in exactly the same way. Most horses simply drop and lay still, maybe taking one or two deep breaths before expiring. Some horses continue to take occasional breaths for a minute or more, and there may also be some movement of the limbs, even though the horse is deeply unconscious and may no longer have a heartbeat. Seeing these apparent signs of life can be upsetting for some owners. But remember that they do not indicate that the horse is conscious or has any sense of feeling; they are simply involuntary reflexes by the body in its final moments. Refer to The Code of Practice for the Welfare of Horses, DPI, and State Government of Victoria Brochure. A plan for the transport of horses to a facility where euthanasia can be performed should ensure that the welfare of horses is the top priority. There should not be undue pain, stress, fear or distress caused by transporting the animal to a slaughterhouse or veterinary facility. Injured horses should not be transported at all but a plan for euthanasia at home should be sought. Dangerous horses should be handled and transported only if absolutely necessary and by experienced horsemen to minimise the risk of injury to humans and horse.